In what is being hailed as a “historic” gift for education, Michael Bloomberg is donating a whopping $1.8 billion to help low-income students attending Johns Hopkins University. According to a press release from the school, it is the single largest donation that has ever been made to an American college or university. The money will be used to “to dramatically and permanently expand undergraduate financial aid,” which the school has previously struggled to do. Bloomberg, who graduated from the Baltimore university in 1964 before going on to be mayor of New York City for three terms, has made dozens of donations to benefit underprivileged college students in the past – but with this most recent donation, his collective financial contributions to his alma mater exceed $3.35 billion. “America is at its best when we reward people based on the quality of their work, not the size of their pocketbook,” Bloomberg wrote in an op-ed that was published in the New York Times. “Denying students entry to a college based on their ability to pay undermines equal opportunity. It perpetuates intergenerational poverty. And it strikes at the heart of the American dream: the idea that every person, from every community, has the chance to rise based on merit,” he added. 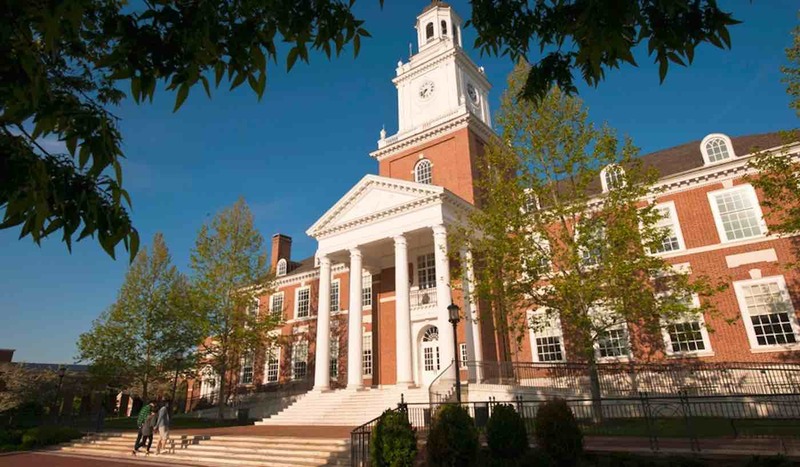 Compared to similarly ranked American colleges, Johns Hopkins has maintained one of the lowest endowment funds for low-income students, and they have consistently struggled to accept applicants based on a “need-blind” basis, which accepts qualified students regardless of their ability to pay. Starting in 2019, however, the school’s first actions as a loan-free institution will be replacing all undergraduate student loans with scholarships, reducing overall family contributions to financial aid, and offering immediate loan relief to every enrolled undergrad student whose financial aid package includes a federal need-based loan. The university hopes that – with the help of the unprecedented contribution – at least 20% of their student body will be eligible for federal Pell grants by 2023. “On behalf of the entire Johns Hopkins community, I express our heartfelt gratitude and appreciation to Mike Bloomberg, and reaffirm our sincere determination, in word and in deed, to vindicate the very substantial trust he has reposed in us,” Johns Hopkins University President Ronald J. Daniels wrote in a message to the university community earlier this week.